If you follow me on Instagram/read any of my SM bios, you may know I’m in a sorority. Being in a sorority means I have a Big (big sister). In celebrating one and other we hold an appreciation week for our Bigs. This week is filled with themed days where we gift thoughtful handmade or store-bought gifts to our Big and make efforts to spend extra time with this special bff. One of the days was called “Favorite Things” where we’d give our Bigs favorite items of theirs. Pretty simple and self-explanatory. While I gave my Big a few other items this day, I specifically wanted to share this one with you in hopes to inspire you. 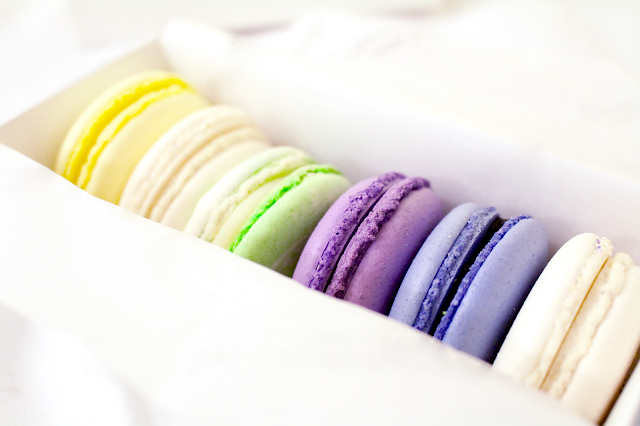 I bought a mix of her favorite flavored macarons from a gourmet French bakery hoping it’d somewhat mimic Laduree. I would have loved to have gotten actual Laduree cookies; however we only have their shops in very few big cities in the US. C’est la vie. 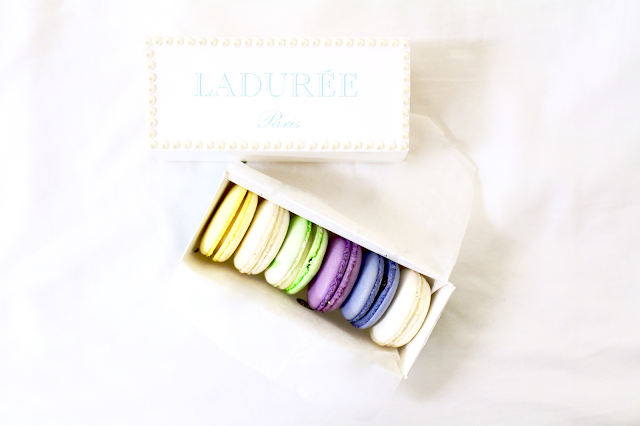 Thankfully the macarons came in the right type of sliding box; however it lacked the Laduree logo for obvious reasons. To make a plain white box more luxurious I turned to print outs and decals. 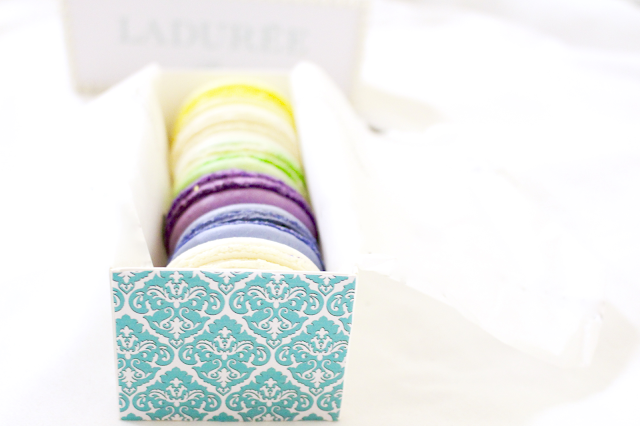 I printed the “Laduree" name in one of her favorite colors, added her favorite pattern in her favorite color to the sides, and finished it off with a pearl trim to make up for the intricate metallic design on the edge of Laduree boxes, which proved to be difficult to replicate. Upon giving this to her, she was extremely touched by how thoughtful this little gift was. I felt the need to share such a project with you to show you how something so simple and easy to create can be greatly appreciated and cherished by another. Not only did this item play off something she loves, but incorporated other favorite things in the presentation. Surely this can be applied to any gift-giving event you may encounter in the future. Think of things that mean the most to whatever individual you’re finding, or better yet, making a gift for, be attentive to details, and get creative with it! Often times these are the most appreciated gifts because they show how well you listen and how much you care. What are your favorite types of gifts to give?